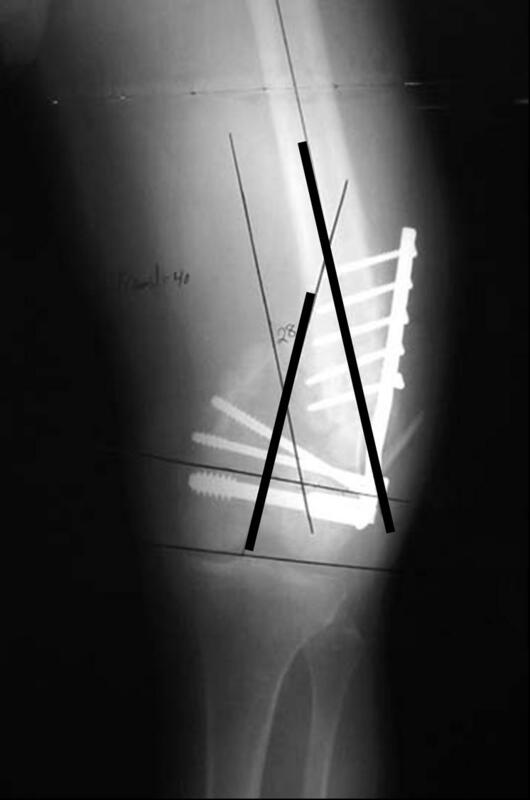 This x-ray shows a 60 year old man with a distal femoral nonunion with deformity 6 months following treatment at an outside facility by other physicians using plate and screws. The two bold black lines represent the orientation of the upper and lower segments of the femur, which are supposed to be aligned. The divergence of these bold lines show that this patient had a 28 degree deformity of the distal femur in addition to the nonunion. The patient had severe pain and was having difficulty walking with crutches. 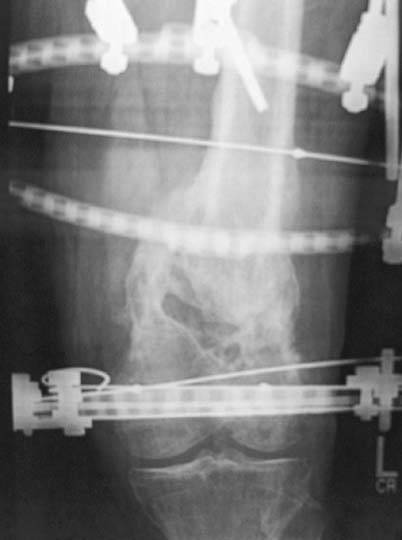 These x-rays taken during Ilizarov treatment show deformity correction by realignment and compression of the nonunion site. The final radiograph shows restoration of alignment and orientation and healing of the nonunion. The patient had no pain and was walking without assistance.